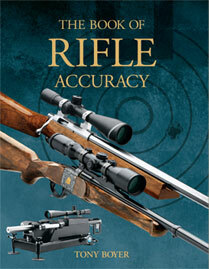 A must for your gun library. with dust jacket and slip case cover. Signed and numbered by Tony Boyer. Limited quantity of 500 while supplies last. Perfect for the loading room and the range box. Welcome to the world of extreme rifle accuracy. There is great satisfaction in watching bullet after bullet pass through the same hole in a target regardless of environmental conditions — the ultimate goal of the accuracy shooter.